Heat oil and add panch phoran, wait till they splutter. Fry the chopped onions till golden. Add avrekai and tomatoes and cook till raw smell of tomatoes disappears. Add turmeric and salt and cook for a minute. Add chopped mint and cook for another minute. Add plain rice and mix well. 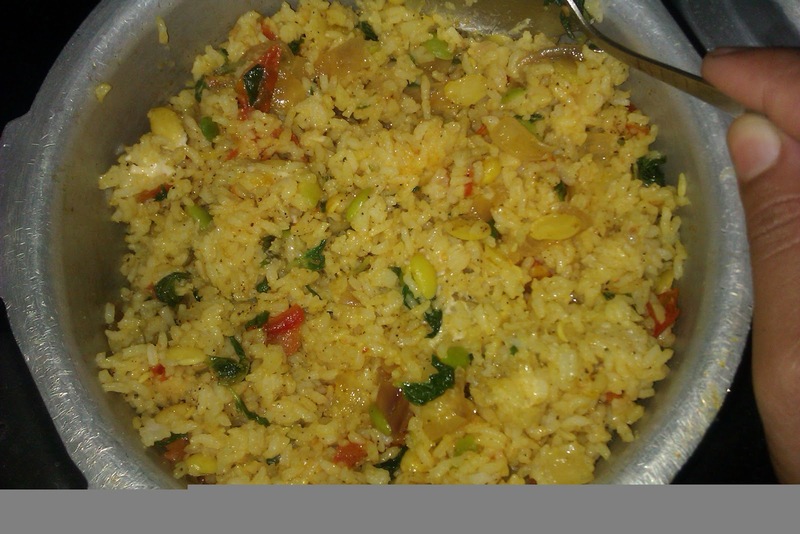 You can also use paste, another recipe for pudina pulav is given here! This is going to Flavors of Tamil Nadu. Avrekai is found abundantly in Karnataka and TN. very colourful,flavourful amd delicious rice..